Ready for a relaxing, fun adventure for all your family, friends, and even your pets? FUNPCB conveniently offers private pontoon boat rentals so you can explore your time on Panama City Beach in the best way! 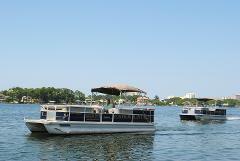 If you are looking for a fun and easy way to explore the waters of Panama City Beach look no further. 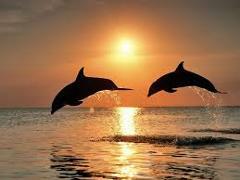 At FUNPCB, our Dolphin Tour allows you to enjoy the beaches and waters of St. Andrew's Bay. Panama City Beach deep sea fishing at its best. 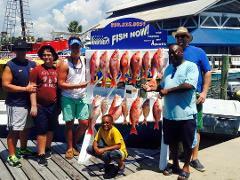 Come fish on your own private trip just for you and your group of up to 6 ppl.